« The Yes Minister Miscellany – a Whitehall handbook? 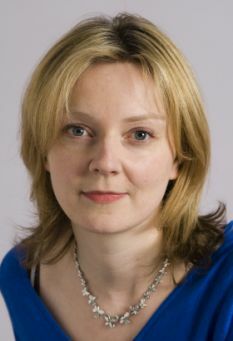 One of the rising stars of the new Conservative intake is Elizabeth Truss, the Member for South West Norfolk. A particular hobby horse we share is the rigour that we should demand of our education system. Writing in the Sunday Times today, she highlights how Labour showered money on buildings and equipment, but failed to improve education. It is because buildings and equipment don’t actually educate, it is passionate teachers and a challenging curriculum that delivers improvement. The column (in the 21st Century Think Tank) talks not only about the prevalence of calculators, but also about the feeble IT curriculum. The worry is that we are using our learning brainpower merely to understand how to use software, rather than understand how it works or how it is created and operates. As a software engineer by training myself, I know how possible it is to get started in creating algorithms that sort numbers, solve mazes or draw ellipses on a screen. That knowledge can be further developed with the vast libraries of application building functionality that exist for all the portable devices we have today. Where does one learn how to write an iPhone application? Or to store and use the information typed in on an input form? This is not so complex that it needs to be reserved to colleges and universities, we should be getting our bright schoolchildren to create brilliant and useful things for themselves and their communities at a far earlier age…. This entry was posted on November 20, 2011 at 11:43 am	and is filed under Education, Labour failings. You can follow any responses to this entry through the RSS 2.0 feed. You can leave a response, or trackback from your own site. I seem to remember there used to be a partnership between Altwood School and Nortel Networks. Does this still exist? What other pairings can we put in place that will offer the opportunities you are talking about (for both sides)? We do still have software companies in this borough and we should be letting them know how much we value their presence.